The city of Antsiranana (Diego Suarez) is only a one hour flight from ‘Tana and provides access to the unique landscapes and fascinating villages of Northern Madagascar. In the Amber Mountain National Park you can hike through scenic rainforest to waterfalls and crater lakes with Crowned and Sanford’s Lemur for company. Accommodation is in the nearby village of Joffreville offering a genuine taste of Madagasy rural life. 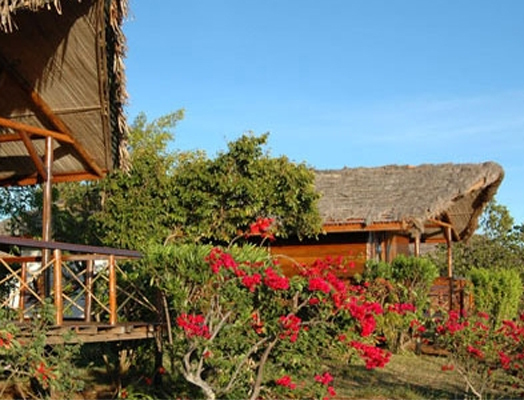 Located close the Amber Mountain National Park and offering panoramic views over the Bay of Diego, the Mozambique Channel and the Indian Ocean, Nature Lodge is a collection of 12 spacious and comfortable bungalows. Each bungalow has a private terrace which is a lovely place to sit back, relax and appreciate the view.